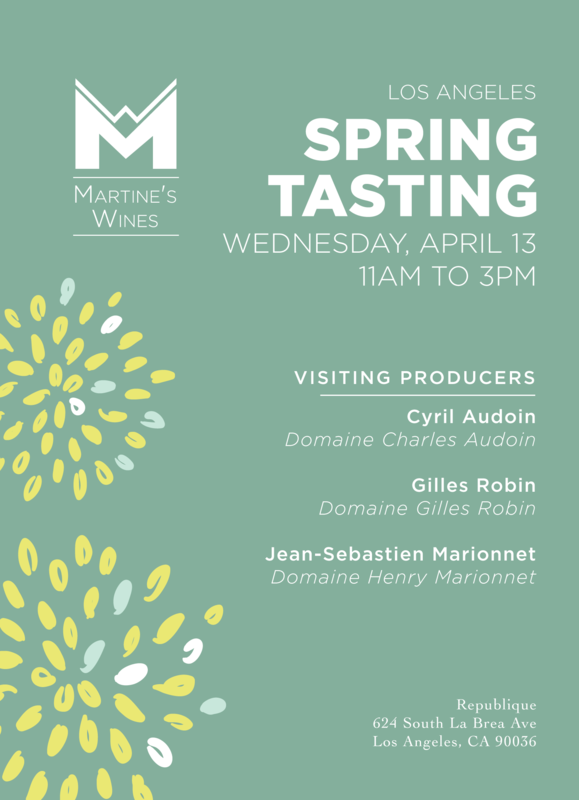 Archive Martine’s Wines Spring 2016 Tastings! Happy Spring from Martine’s Wines! 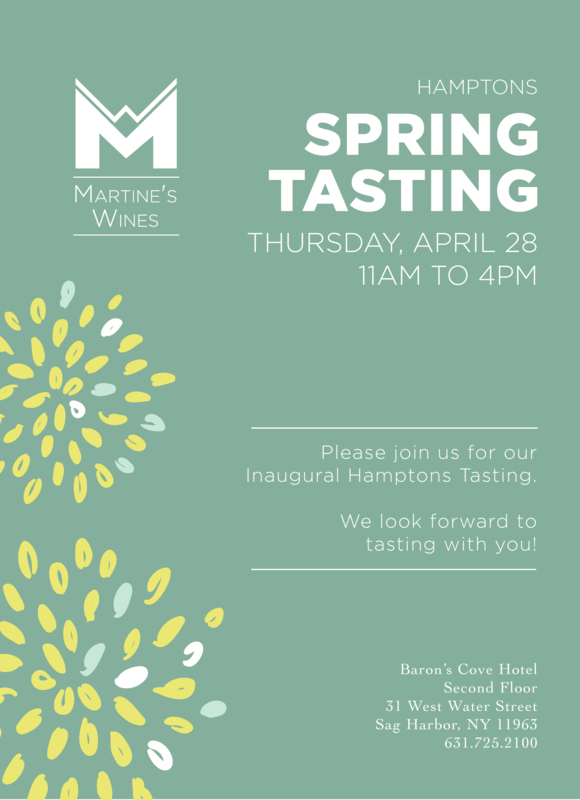 We are pleased to invite the wine trade community to our Spring 2016 tastings this April. We will have producers in attendance to pour their wines in San Francisco, Los Angeles, and Chicago. 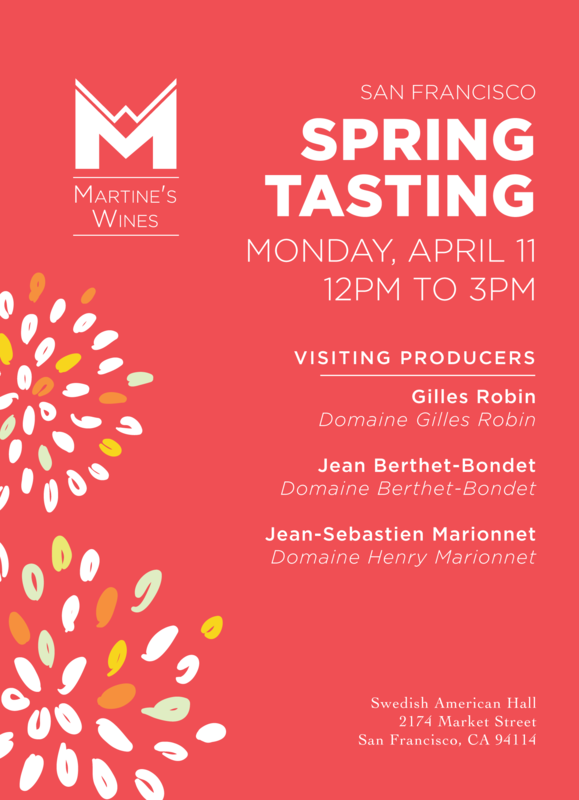 Please send your RSVP to rsvp@mwines.com. We look forward to tasting with you!